DETAILS: "We are happy to announce the 27th Annual PestoFesto on April 27, 2019. 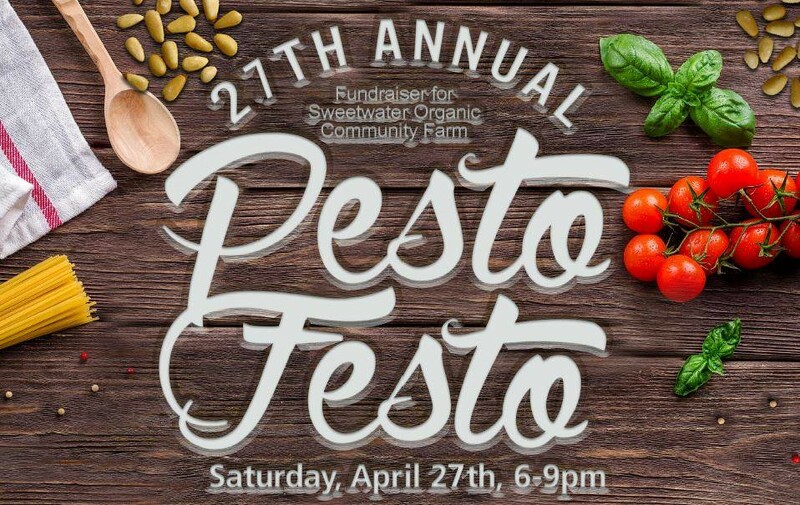 Sweetwater Organic Community Farm’s 27th Annual PestoFesto Fundraising Party is full of community spirit featuring our famous farm-fresh organic pesto pasta and salad, rolls, dessert, and juice. Locally-brewed beer, select wine, and organic coffee available by donation. Live Music starting at 7 pm by the Urban Gypsies. Thank you and we look forward to seeing on the farm on April 27th. We look forward to celebrating so much!!" TICKETS: $25 in advance or $30 at the gate. Tickets can be purchased at the farm, at the St Petersburg Saturday Morning Market or the soon to be created online link. HOSTED BY: Sweetwater Organic Community Farm. LOCATION: Sweetwater Organic Community Farm, 6942 W Comanche Ave, Tampa, FL 33634. ANDY'S NOTE: Posted to Facebook 4-11-2019.